Anna Szpakowska-Kujawska (b. 1931 in Bydgoszcz) graduated in Architectural Painting from the State Higher School of Fine Arts in Wrocław in 1956, having defended her diploma work at Prof. Maria Dawska and Prof. Eugeniusz Geppert’s studio. 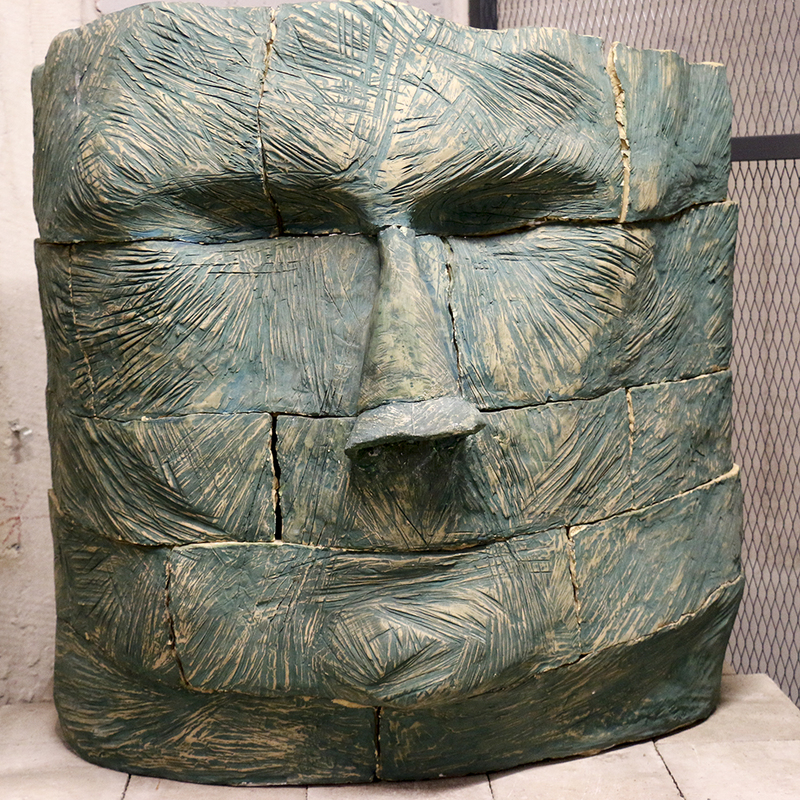 In her varied practice she uses painting, drawing, ceramics, sculpture and collage. An important role in her art is fulfilled by representations of the human body, or surreal depictions of body fragments of humans and animals. She also makes abstractions, often based on lettering, and synthetic, geometrical landscapes. Some of her works are displayed in public spaces, e.g. paintings on ceramic tiles on the elevation of the Faculty of Mathematics of Wrocław University (1971) or a plafond in the Provincial Library in Wrocław (1975). From 1977 to 1984 she lived in Nigeria, where she taught painting and drawing at Kwara College of Education in Ilorin. There she began to make painting compositions on calabashes (gourds). The artist consistently stresses that her art was significantly influenced by her father Wacław Szpakowski (1883–1973) – an architect, artist, photographer and musician, originator of the Rhythmic Lines system. 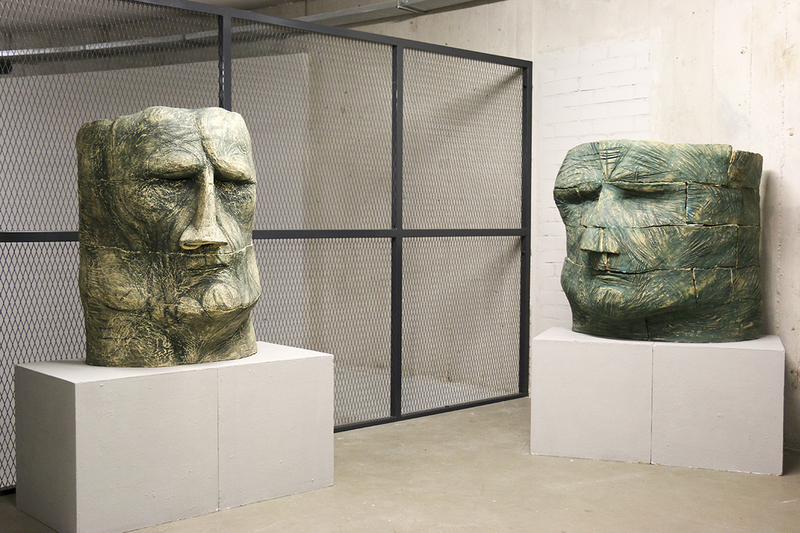 The selected works from the Exhausted series include chamotte sculptures showing expressive faces, which were made during a ceramics festival at the Wrocław Faience Plant in 1990. The chamotte heads were modelled after people encountered by the artist, e.g. workers who helped her to make the objects, and later became the starting point for an in-depth analysis on the state of society, with the predominant feelings of tiredness, uncertainty and resignation. Made at the beginning of the period of political and economic transformation, Szpakowska’s series casts doubt on the then dominant narrative about social enthusiasm and energy accompanying the introduction of democracy and capitalism in Poland in the early 1990s. Each of the three objects donated by the artist to Wrocław Contemporary Museum consists of elements placed one on another, which gives the impression of unstable sectioning and an upsetting lack of balance. The sense of fragmentation and brutality in the depictions of human faces is further highlighted by the use of sharp lines and deep furrows as well as uneven black shades which emerged during the process of baking the sculptures. The cycle Exhausted marks the artist’s return to depicting humans as a comment about the current condition of society, which first manifested itself in the series Atoms, originally showed by Jerzy Ludwiński during the artist’s individual exhibition at the Mona Lisa Gallery in 1968. 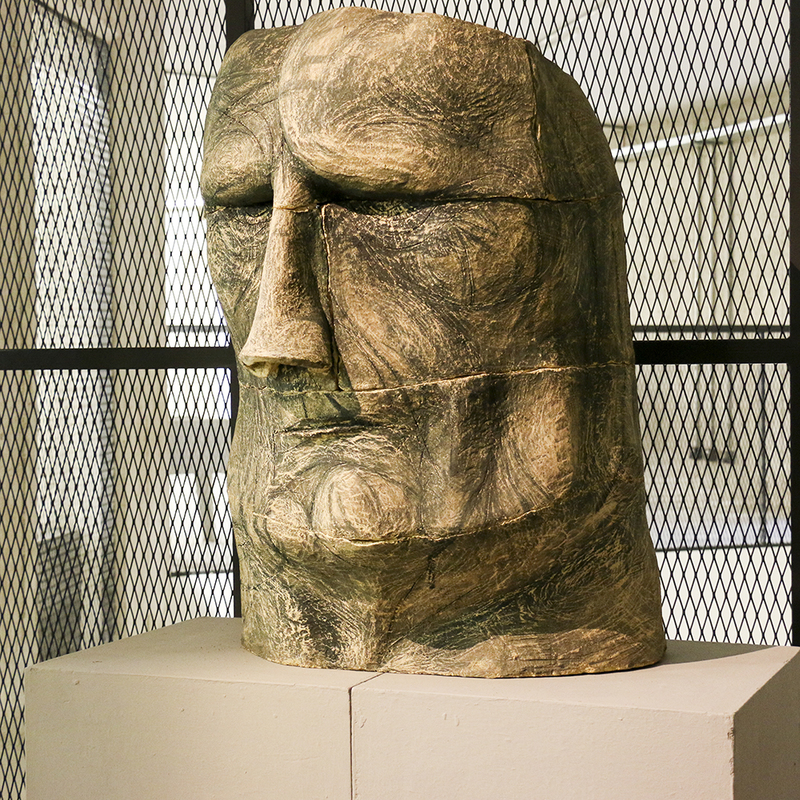 In 1991, the sculptures making up the cycle Exhausted, alongside an expanded series of drawings made with pencil and charcoal on paper, were shown in an individual presentation at BWA Awangarda Contemporary Art Gallery in Wrocław. Later, in 1993, the same set of works was shown in the Kalambur theatre in Wrocław, accompanying the stage adaptation of Peter Handke’s 1966 play Offending the Audience by Bogusław Litwiniec.